But Greg is a step above agents just about anywhere in the country. He's spent most of his career being coached and coaching. His sales ability is phenomenal. There's no hype - no car salesman feel when you are talking to him. If anything, you picture him either on Wall Street or teaching in a classroom. 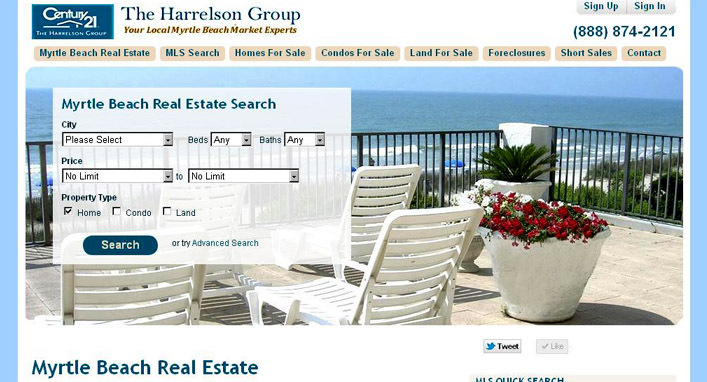 He knows everything there is to know about selling real estate, and knows Myrtle Beach in particular. He didn't jump into the beachfront property frenzy and lose his shirt like almost every agent here., nor was he the first to embrace the internet and its miraculous ability to sell homes, especially when search engines are involved. But he gets it now...and like everything else, he's putting his "all" into it, slow and steady, and building another successful empire. 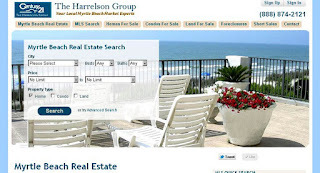 My point to all of this is to say that if someone needs to SELL real estate in Myrtle Beach, the Harrelson Group is where they need to go. He has buyers' agents as well...but he also has inventory (about 700 listings) - and the ability to market them.